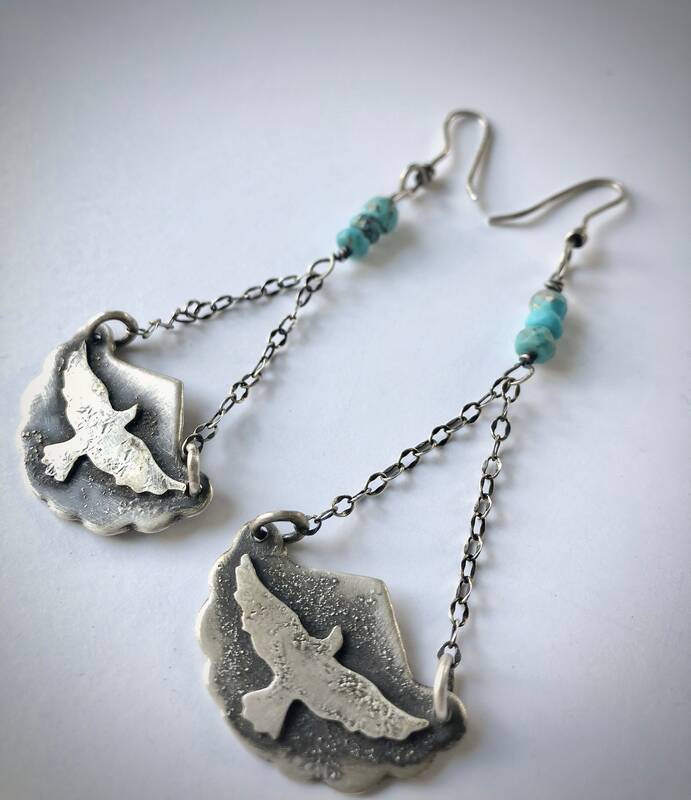 Birds Flying High Earrings #1, are made of Sterling Silver with turquoise beads. 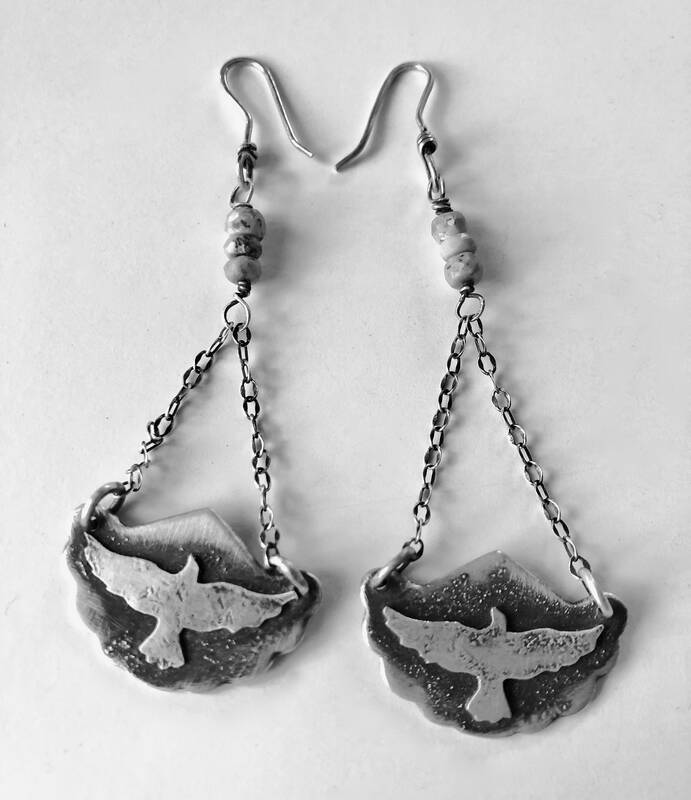 Total length of earring is 3 inches. Perfect weight to wear everyday!